Sua casa na montanha é uma das propriedades mais antigas na área, com estruturas históricas únicas. Um grande celeiro, uma grande loja de antiguidades máquina, duas cabines antigas mobilados, um moinho de vento e alguns velhos herdades escondidos na floresta próxima tornam esta propriedade uma delícia. A casa onde você vai ficar foi construída na década de 1950 e tem acolhedores, comodidades modernas. O barracão é ótimo para crianças e útil como outro grande quarto. Our third year to this gem of a location. It is perfection in every aspect. Beautiful property, great place for family and friends to spend time together. 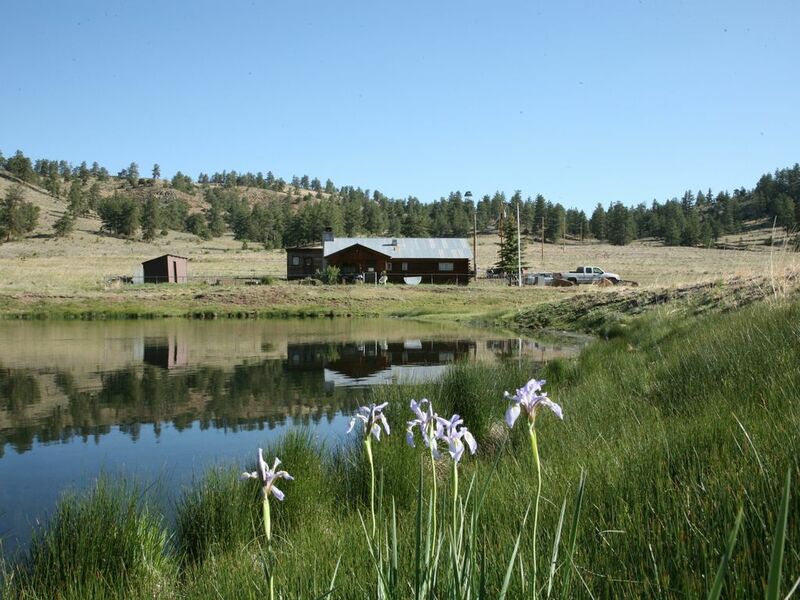 I have stayed a the ranch several times and would highly recommend. Owner and family are very accommodating and great to work with. Our group loved the cabin and property! Great hiking and scenery. We love hosting guests like Andrew and his group, who treasure the beauty and experience of being in the mountains, not surrounded by a throng of unknown hikers and their dogs. We love dogs, though! Dogs are welcome, too! The cabin was great and comfortably slept our group of eight. We enjoyed hiking to the peaks that are on the property, relaxing in the cabin, and just enjoying nature. Definitely planning to visit again. We absolutely loved every minute we stayed at this awesome property! We had an excellent time at 31 mile Ranch. We were greeted with a lovely basket with some wine, a nice note and beautiful flowers upon arrival. The owner, Lydia, was so nice and gracious and answered all emails very quickly . Let us borrow the awesome telescope and also gave us some good fishing spot tips. The land and property itself is amazing. We spent most of our time exploring the ranch. The barn and historic buildings were awesome! I'm an amateur photographer and got some amazing shots. The house has got really everything you need. Pots, pans, dishes, coffee maker, towels, blankets Etc. We forgot toothpaste and were lucky they had thought of that and had some. Had soap and paper towels and everything a functioning house needs. Not a foo foo kind of place, but we're not foo foo kind of people. Its a true farmhouse, but quaint and cozy. Felt like home after first day. We only left once to get allergy medicine. Otherwise, we would've never left. Was planning on exploring around area, but we didn't need to because it was all at the ranch. Saw so much wildlife, too. Several kinds of eagles, deer, coyote, many different birds. My husband and I have used VRBO for the last seven or eight years or so and we go somewhere new every time. We've never thought about going back to one of the places we stayed, although we've really enjoyed being at all of them. We are always looking for something new but this place has something special. We will definite be back!!! Loved it!! Thank you Lydia! If you really want to get away from the busyness of life, this is the perfect little spot. Not another soul in sight from the cabin. Plenty of hiking right outside the front door. The fenced yard was great to let our dogs out, but mostly they just enjoyed being "free range" all over the ranch and on the BLM lands. Everything in the cabin was quite comfortable and certainly adequate for our needs. Beds were a little uncomfortable, but you could bring an air mattress to put on top of them or something. There are ways to make that work. Plan to bring in all your food - we did and were glad of it. A trip to the store means a 45 minute drive each way to Canon City. The town of Guffey is charming and has a great bakery (wonderful breakfast) and at least two restaurants.